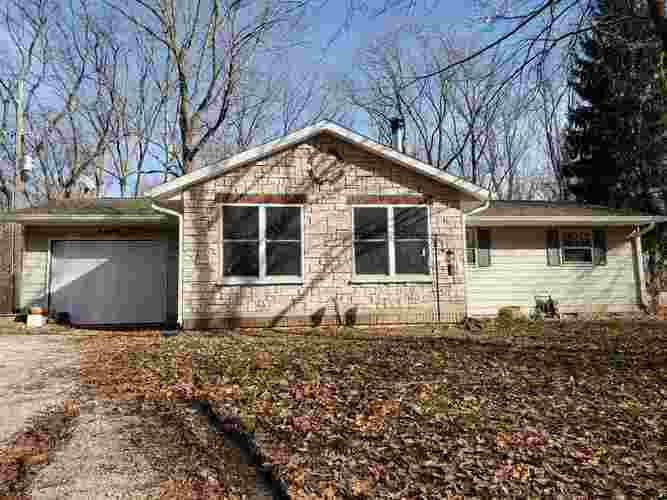 Come see this charming country home on over an acre of wooded land! This is a great opportunity for an investor. This home offers 3 bedrooms, 1 full bath with a 1 car attached garage. The roof, gutters and soffit are only 5 yrs old, new back deck 2018, wood shelter was built 2 yrs ago. The backyard is fenced in and separated with raised gardens! Seller is offering a $10k allowance towards repairs. upgrades & closing costs. A Home Warranty will also be included. This home wont last long, call for a showing today! Directions:Take I-69 North towards Oliver Winery, take exit to Oliver Winery, pass Olivers, turn right onto Fox Hollow Rd, follow road about .7 miles, home will be on your left.